What if every child finished high school, went to college, got a job and gave back to our community? There is no more important investment we can make than helping our nation’s children realize and share their full potential. 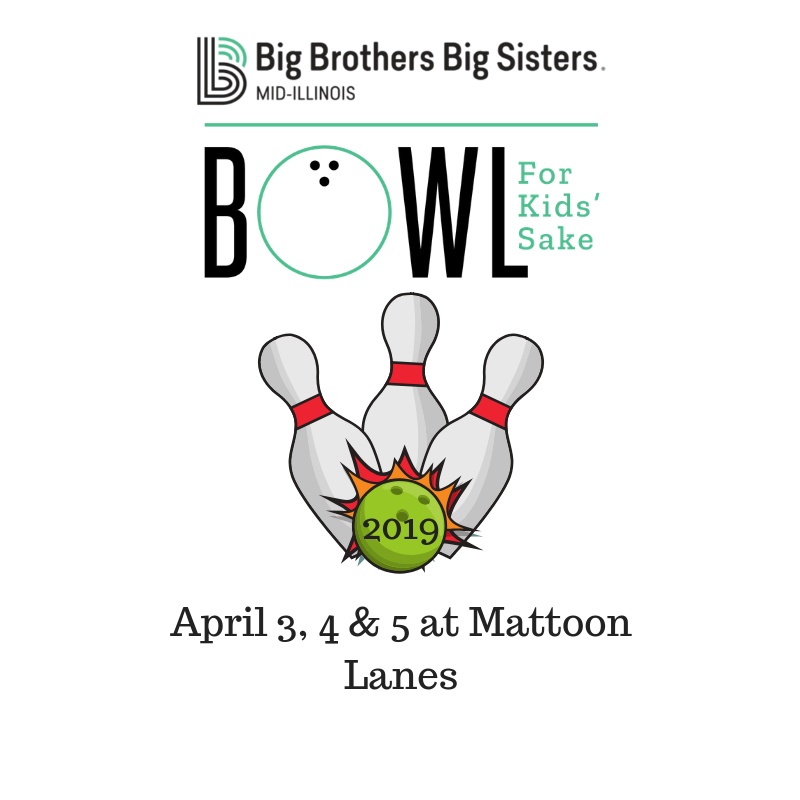 Big Brothers Big Sisters has been serving our community for over 40 years by providing at-risk youth with strong and enduring, professionally supported one-to-one mentoring relationships. Our ability to provide this service to the community is due to our donors, supporters, volunteers and friends who realize that inherent in every child is the ability to succeed in life. We are making our community better one match at a time. Vision: The Mid-Illinois Big Brothers Big Sisters Vision is that all children achieve success in life. Mission: The Mid-Illinois Big Brothers Big Sisters Mission is to provide children facing adversity with strong and enduring, professionally supported 1-to-1 relationships that change their lives for the better, forever. Anyone can be a mentor. It is about starting a consistent friendship and inspiring positive change to empower children to believe that they can achieve what they never dreamed possible. You can simply incorporate your Little into your everyday life: play sports together, picnic in the park, take your dog for a walk or go to the park. Being a Big will give you the opportunity to be a force of change in our community. It will also be one of the most enjoyable and fulfilling things you do. We spend time getting to know Bigs and Littles to make a good match and lasting friendship. Do you both like sports, music or cooking? We look for things you have in common so you will always have fun together. We know the importance of location. There are kids all over East Central Illinois who want a Big Brother or Big Sister. We do our best to make connecting you with your Little as easy and convenient as possible by considering your location preferences. To make the best possible match, we also take into account things such as preferences, personalities and backgrounds. We work hard to make a match that is compatible so your friendship will last a lifetime.